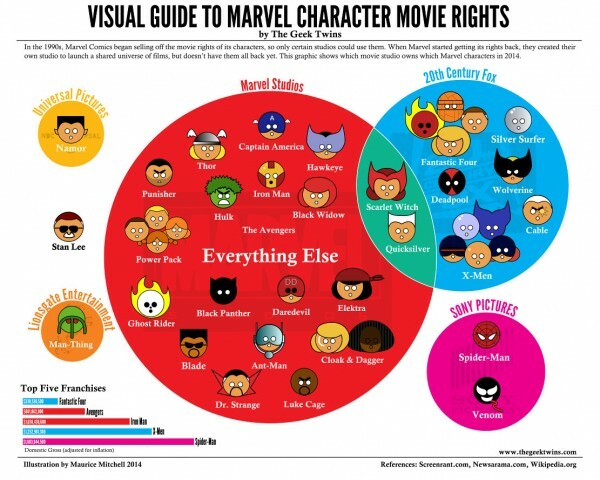 Home / Comics / Which studios own which Marvel heroes? Or: can’t we just all be in the same movie? More love for The Geek Twins. Infographic brilliance. This must be viewed in full size to do it justice. Click on the image below for its full size.